If your business is growing then you are surely aware of the demands that rapidly changing technology can put on your operations. The challenge is to incorporate the right changes that will reduce costs, improve reliability, provide flexibility for meeting the demands of a mobile and remote workforce, and be a catalyst for continued growth. So if you're ready to leave behind the traditional analog or PRI phone systems and adopt the newer, more scalable and feature-rich VoIP technology don't commit this cardinal sin... doing a price search and signing up with the cheapest hosted VoIP provider. If you're thinking about doing that, we want to hold up a big stop sign to you. Slow down, and do your research. Every hosted voice provider is not the same. And, when it comes to your business, you can't settle for poor communications. Saving a nickel on quality and stability could end up costing you a fortune. Before you sign that dotted line, we want to give you a few things to think about. Hold your potential providers up to this litmus test to see if they are hiding bad news behind the good price. The VoIP market is hot with a host of providers jumping in on the action. Many of these budget vendors are all selling the exact same service. Bundled packages, confusing pricing, and complex industry jargon are designed to disguise the truth. With the relatively low cost of entry and an over saturation of providers, turning a profit in the VoIP business is a challenge, causing some providers to cut corners they don't want customers to know about. Savvy businesses are moving away from run-of-the-mill VoIP providers and resellers, and are opting for more stable, higher quality hosted voice. "Bring your own Bandwidth" service, or BYOB, is what is being sold as "direct Internet connectivity." The reality is that these connections are not really private or direct. For example, lets say I have a business in Chicago and use a nationally recognized VoIP provider and a major Internet provider in my area for fiber. Whenever I make a call, my voice is broken into data packets and uploaded to my service provider. The packets get transferred to my national VoIP provider and off they go into the open Internet. These packets have to travel across the open Internet to the VoIP provider and get mixed up with regular Internet data, cat videos, Facebook updates, etc., causing your phone call packets to get dropped or delayed. With regular Internet packet downloads, this isn't really a big problem. But when that happens with voice packets, you get jitter and bad quality audio. For quality phone service, all the packets have to be delivered together and in order. There’s simply no way to do that if your hosted VoIP provider is somewhere out there across the Internet. 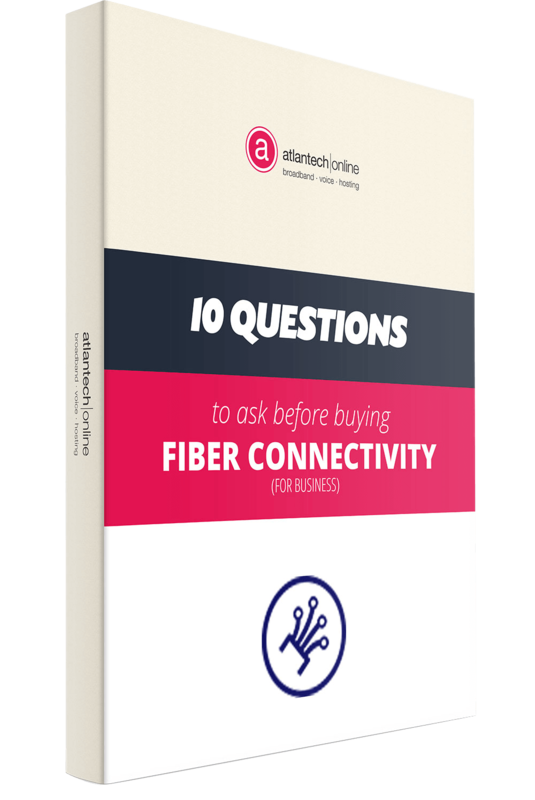 Combining phone and fiber in a truly private connection is the better option. Atlantech provides voice service this way, which includes prioritization of voice data packets over all other data streams, ensuring your phone calls are clear and consistent, without jitter or lag. 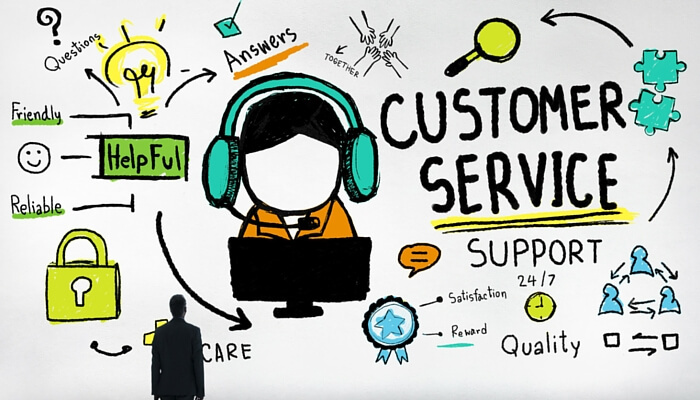 Who is really providing troubleshooting and customer service? Managing costs is one of the biggest challenges every business faces and with competition driving margins down, many budget VoIP providers need to make drastic cuts in customer service to survive. 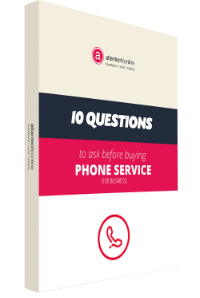 Ask your VoIP provider where their customer service team is based, what their experience level is, and if they are employees of your service provider. Be sure to inquire about how and when they can be reached as well as what specialized training they've received. A benefit of moving to hosted VoIP is supposed to outsourcing to the experts, but that may not be the case. Those disaster recovery programs may not be up to speed. Internet providers supplying VoIP service across the public Internet are subject to network congestion. Ask how they handle network congestion during high demand. Will your service receive priority? Any loss of Internet service leads to immediate loss of phone service. Discuss causes of downtime with your provider, such as data center security and cyber threats as well as the opportunity for backup wireless connectivity. With the boom in providers comes a wealth of options. It is inevitable that some of these "pop-up" providers are not going to survive in this competitive marketplace. Don't risk your service by choosing a provider that lacks a proven commitment to the future. References and customer success stories should be provided and researched. Another great insight into provider quality is the data center. Providers with a regulatory compliant, independent data center indicate a commitment to long-term, high-quality relationships with their clients. Mass market VoIP is designed for the masses, not critical business operations. For residential use and even small time connectivity, public Internet service combined with a mid-market VoIP provider will probably operate at a maintainable service level. But very few firms today require usage at these levels. Functions such as video conferencing, messaging, and high-bandwidth applications that are driving the way business is done are pushing usage higher and higher. With mass market connectivity, scalability is limited. The vast majority of small to medium businesses have simply outgrown this level of service. The true cost of your hosted VoIP service may not be readily available. Multiple vendor solutions make understanding what you are truly paying for a real challenge. Combined with losses from downtime and poor quality service, the true cost of your service may be higher than you realize. Consider a vendor that can reliably provide hosted VoIP and a consistent high-quality connection. Benefits include better customer service, high-quality connectivity, and a commitment to your success. Streamlined billing? That's another bonus. Do you roll your eyes when your carrier says you’ll never have problems with your phone service? We do too… because we know that stuff happens. The true value of your hosted VoIP provider is when things do go wrong. Do they pick up the phone or do they duck your calls? Do they blame “the other guy”? Do they care? Recently, I was speaking to a client. She had reported to me a ticket had been opened and wasn’t getting fixed in a timely manner. I looked into it and saw that our customer had a call routing loop on one phone number between their SBC and our switch. This particular customer had smartly set up a primary and secondary SIP Trunk with us and had SBCs in two different physical locations. This provided them redundancy to avoid a single point of failure. They were using an Avaya PBX and SBCs that can support hundreds of call appearances. Atlantech found and stopped the loop, notifying the customer of the problem and showing that the issue was in the customer’s equipment. The customer went to their Avaya support vendor multiple times requesting that the vendor fix the issue. Each time the vendor said it was the carrier’s problem and not on the Avaya equipment. So, the ticket was just sitting out there unresolved. We had a temporary fix in place (forwarding the calls to another number) so the customer wasn’t feeling any “pain," but they were “uncomfortable” that the problems were unresolved. We suggested a conference call with the Avaya vendor to discuss the problem and provided our customer and the vendor a call capture demonstrating where the problem was. By the time the call occurred, the vendor’s tech had escalated the problem internally, and senior techs found the problem in the Avaya equipment and resolved the issue. Here is my point: you need a carrier who will go the extra mile to get problems resolved even when the problems are not the carrier’s issue. Don't stick your head in the sand and believe marketing hype that any vendor or technology is beyond having problems. Problems will come up. That is why we believe Atlantech Online is your best choice. This is what we do. We provide phone service at a fair price. And, if something breaks, we fix it. "I'm happy about my decision to go with Atlantech Online because their experience, technical acumen and follow through is valuable to me and lets me know I have someone backing me up." If you are considering a change of this magnitude, we welcome the scrutiny. Shopping for a hosted VoIP provider requires analyzing and documenting what your business and technical requirements are and making sure you ask the right questions when considering the options. At Atlantech, we pride ourselves on an open communication process, so clients can rest assured they are getting the highest quality service and customers support available. Contact us and see how we answer the tough questions.